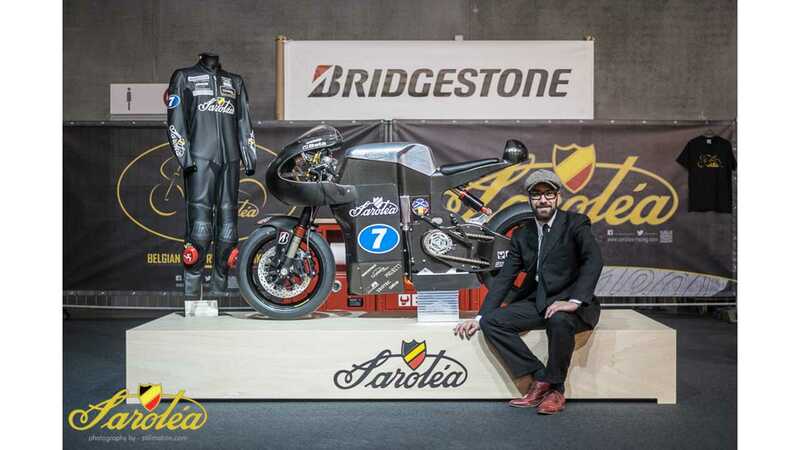 During the Speed Trophy event at the end of April on the Circuit Jules Tacheny Mettet in Belgium, Belgian team Saroléa Racing unveiled the Saroléa SP7 electric superbike, which will participate in the 2014 SES TT Zero Challenge. The Saroléa brand was established in 1850 as the first motorcycle brand in Belgium, but faded 100 years later. Now, Saroléa is coming back and besides TT Zero, would like to compete in FIM eRoad-Racing World Cup. The bike probably doesn't have any chance at winning TT Zero against Mugen racers, but it's still an interesting machine. SP7 was designed and built in Belgium. It has a carbon fibre monotube chassis and axial flux motor. It's Battery pack wasn't described yet. "During the design process the focus was on achieving a high power to weight ratio and on aerodynamic efficiency. Extensive use of carbon fibre and lightweight alloys helped reduce the overall weight. The result is a very compact and agile motorcycle. 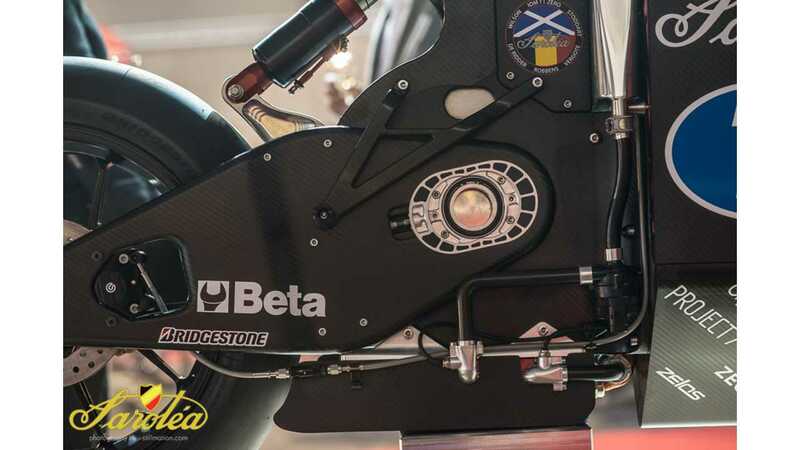 Along with technical partners Bridgestone and Beta Tools, the team will focus on collecting data to further develop the bike." 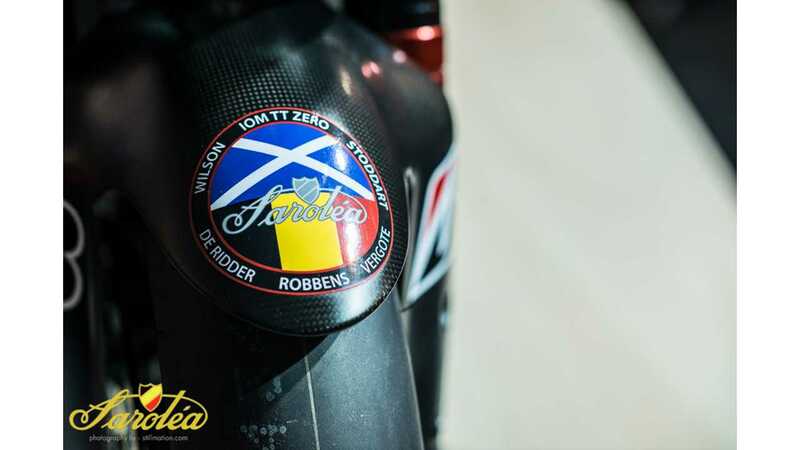 Scotsman Robert Wilson, who has recorded five top twenty finishes in his three year career, will be the driver in TT Zero. 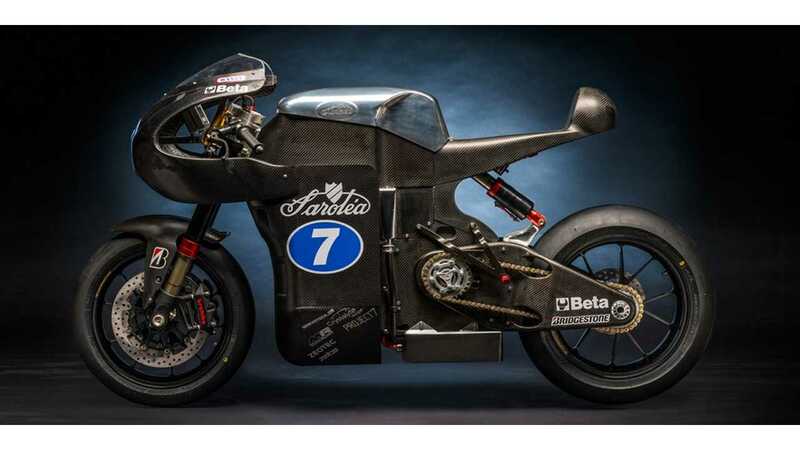 In the later eRoadRacing World Cup events, Thijs De Ridder will pilot Sarolea. Prior to races, SP7 will be seen conducted extensive track tests.